After the year's best children's books, art and design books, photography books, science books, history books, and food books, the 2011 best-of series continues with the most compelling, provocative, and thought-provoking psychology and philosophy books featured here this year. We spend most of our lives going around believing we are rational, logical beings who make carefully weighted decisions based on objective facts in stable circumstances. Of course, as both a growing body of research and our own retrospective experience demonstrate, this couldn't be further from the truth. For the past three years, David McRaney's cheekily titled yet infinitely intelligent You Are Not So Smart has been one of my favorite smart blogs, tirelessly debunking the many ways in which our minds play tricks on us and the false interpretations we have of those trickeries. 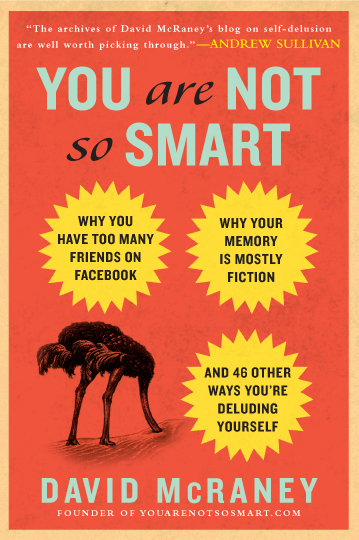 This month, YANSS joins my favorite blog-turned-book success stories with You Are Not So Smart: Why You Have Too Many Friends on Facebook, Why Your Memory Is Mostly Fiction, and 46 Other Ways You're Deluding Yourself -- an illuminating and just the right magnitude of uncomfortable almanac of some of the most prevalent and enduring lies we tell ourselves. From confirmation bias -- our tendency to seek out information, whether or not it's true, that confirms our existing beliefs, something all the more perilous in the age of the filter bubble -- to Dunbar's Number, our evolution-imposed upper limit of 150 friends, which pulls into question those common multi-hundred Facebook "friendships," McRaney blends the rigor of his career as a journalist with his remarkable penchant for synthesis, humanizing some of the most important psychology research of the past century and framing it in the context of our daily lives. Despite his second-person directive narrative, McRaney manages to keep his tone from being preachy or patronizing, instead weaving an implicit "we" into his "you" to encompass all our shared human fallibility. And in the Age of Books That Should've Stayed Articles, it's refreshing to see McRaney distill each of these complex phenomena in articulate, lucid narratives just the right length to be stimulating without being tediously prolix. "The universe is made of stories, not atoms," poet Muriel Rukeyser famously proclaimed. The stories we tell ourselves and each other are how we make sense of the world and our place in it. 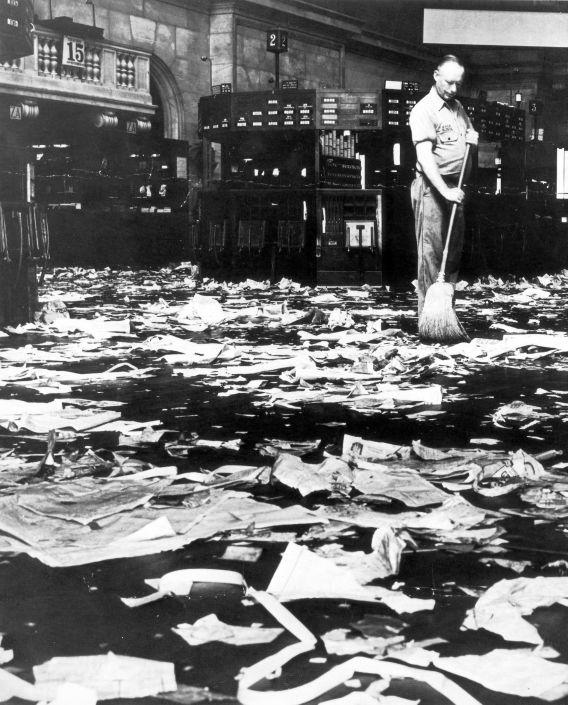 Some stories become so sticky, so pervasive that we internalize them to a point where we no longer see their storiness -- they become not one of many lenses on reality, but reality itself. And breaking through them becomes exponentially difficult because part of our shared human downfall is our ego's blind conviction that we're autonomous agents acting solely on our own volition, rolling our eyes at any insinuation we might be influenced by something external to our selves. Yet we are -- we're infinitely influenced by these stories we've come to internalize, stories we've heard and repeated so many times they've become the invisible underpinning of our entire lived experience. That's exactly what F. S. Michaels explores in Monoculture: How One Story Is Changing Everything -- a provocative investigation of the dominant story of our time and how it's shaping six key areas of our lives: our work, our relationships with others and the natural world, our education, our physical and mental health, our communities, and our creativity. During the Middle Ages, the dominant monoculture was one of religion and superstition. When Galileo challenged the Catholic Church's geocentricity with his heliocentric model of the universe, he was accused of heresy and punished accordingly, but he did spark the dawn of the next monoculture, which reached a tipping point in the 17th century as humanity came to believe the world was fully knowable and discoverable through science, machines, and mathematics -- the scientific monoculture was born. Ours, Micheals demonstrates, is a monoculture shaped by economic values and assumptions, and it shapes everything from the obvious things (our consumer habits, the music we listen to, the clothes we wear) to the less obvious and more uncomfortable to relinquish the belief of autonomy over (our relationships, our religion, our appreciation of art). 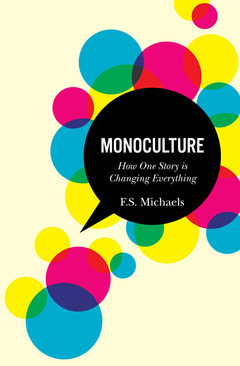 We've previously examined various aspects of this dominant story -- why we choose what we choose, how the media's filter bubble shapes our worldview, why we love whom and how we love, how money came to rule the world -- but Monoculture, which comes from the lovely Red Clover, weaves these threads and many more into a single lucid narrative that's bound to first make you somewhat uncomfortable and insecure, then give you the kind of pause from which you can step back and move forward with more autonomy, authenticity, and mindfulness than ever. Legendary Israeli-American psychologist Daniel Kahneman is one of the most influential thinkers of our time. A Nobel laureate and founding father of modern behavioral economics, his work has shaped how we think about human error, risk, judgement, decision-making, happiness, and more. 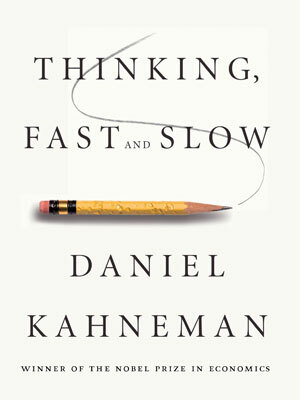 For the past half-century, he has profoundly impacted the academy and the C-suite, but it wasn't until this month's highly anticipated release of his "intellectual memoir," Thinking, Fast and Slow, that Kahneman's extraordinary contribution to humanity's cerebral growth reached the mainstream -- in the best way possible. The mind functions thanks to a delicate, intricate, sometimes difficult osmotic balance between the two systems, a push and pull responsible for both our most remarkable capabilities and our enduring flaws. From the role of optimism in entrepreneurship to the heuristics of happiness to our propensity for error, Kahneman covers an extraordinary scope of cognitive phenomena to reveal a complex and fallible, yet somehow comfortingly so, understandable machine we call consciousness. The word happiness is just not a useful word anymore because we apply it to too many different things. What's most enjoyable and compelling about Thinking, Fast and Slow is that it's so utterly, refreshingly anti-Gladwellian. There is nothing pop about Kahneman's psychology, no formulaic story arc, no beating you over the head with an artificial, buzzword-encrusted Big Idea. It's just the wisdom that comes from five decades of honest, rigorous scientific work, delivered humbly yet brilliantly, in a way that will forever change the way you think about thinking. We're social beings wired for communicating with one another, and as new modes and platforms of communication become available to us, so do new ways of understanding the complex patterns, motivations, and psychosocial phenomena that underpin that communication. That's exactly what social psychologist and language expert James W. Pennebaker explores in The Secret Life of Pronouns: What Our Words Say About Us -- a fascinating look at what Pennebaker's groundbreaking research in computational linguistics reveals about our emotions, our sense of self, and our perception of our belonging in society. 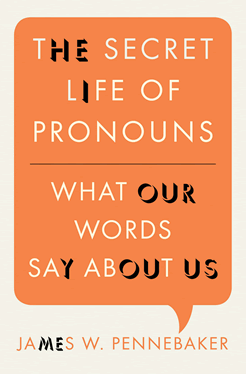 Analyzing the subtle linguistic patterns in everything from Craigslist ads to college admission essays to political speeches to Lady Gaga lyrics, Pennebaker offers hard evidence for the insight that our most unmemorable words -- pronouns, prepositions, prefixes -- can be most telling of true sentiment and intention. Both a fascinating slice of human psychology and a practical toolkit for deciphering our everyday email exchanges, tweets, and Facebook statuses, the research looks at what our choice of words like "I," "she," "mine," and "who" reveals about our deeper thoughts, emotions, and motivations -- and those of the people with whom we communicate. Like much of scientific discovery, Pennebaker's interest in pronouns began as a complete fluke -- in the 1980s, he and his students discovered when asked to write about emotional upheavals, people's physical health improved, indicating that putting emotional experiences into language changed the ways people thought about their upheavals. They eventually developed a computerized text analysis program to examine how language use might predict later health improvements, trying to find out whether there was a "healthy" way to write. To his surprise, the greatest predictor of health was people's choice of pronouns. From gender differences that turn everything you know on its head to an analysis of the language of suicidal vs. non-suicidal poets to unexpected insights into famous historical documents, The Secret Life of Pronouns gleans insights with infinite applications, from government-level lie-detection to your everyday email inbox, and makes a fine addition to these five essential books on language. Sum: Forty Tales from the Afterlives by neuroscientist David Eagleman is one of my favorite books of the past few years, so I was thrilled for the release of Eagleman's latest gem, Incognito: The Secret Lives of the Brain -- a fascinating, dynamic, faceted look under the hood of the conscious mind to reveal the complex machinery of the subconscious. Equal parts entertaining and illuminating, the book's case studies, examples, and insight are more than mere talking points to impress at the next dinner party, poised instead to radically shift your understanding of the world, other people, and your own mind. Bringing a storyteller's articulate and fluid narrative to a scientist's quest, Eagleman dances across an incredible spectrum of issues -- brain damage, dating, drugs, beauty, synesthesia, criminal justice, artificial intelligence, optical illusions, and much more -- to reveal that things we take as passive givens, from our capacity for seeing a rainbow to our ability to overhear our name in a conversation we weren't paying attention to, are the function of remarkable neural circuitry, biological wiring, and cognitive conditioning. 6. WHAT DOES IT MEAN TO BE HUMAN? 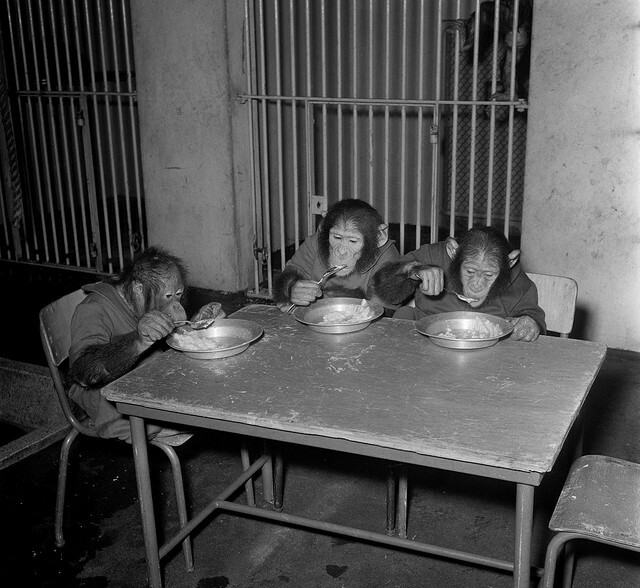 Last year, we explored what it means to be human from the perspectives of three different disciplines -- philosophy, neuroscience, and evolutionary biology -- and that omnibus went on to become one of the most-read articles in Brain Pickings history. But the question at its heart is among the most fundamental inquiries of existence, one that has puzzled, tormented, and inspired humanity for centuries. 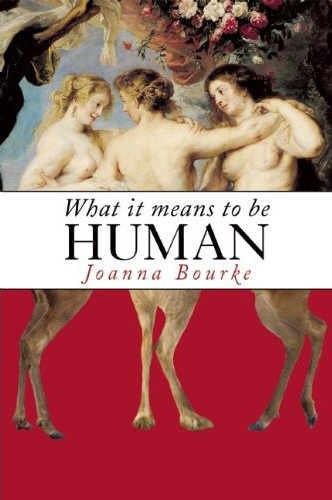 That is exactly what Joanna Bourke (of Fear: A Cultural History fame) explores in What It Means to Be Human: Historical Reflections from the 1800s to the Present. The broader question at the heart of the Earnest Englishwoman's outrage, of course, isn't merely about gender -- "women" could have just as easily been any other marginalized group, from non-white Europeans to non-Westerners to even children, or a delegitimized majority-politically-treated-as-minority more appropriate to our time, such as the "99 percent." The question, really, is what entitles one to humanness. The humanist insistence on an autonomous, willful human subject capable of acting independently in the world was based on a very particular type of human. Human civilization had been forged in the image of the male, white, well-off, educated human. Humanism installed only some humans at the center of the universe. 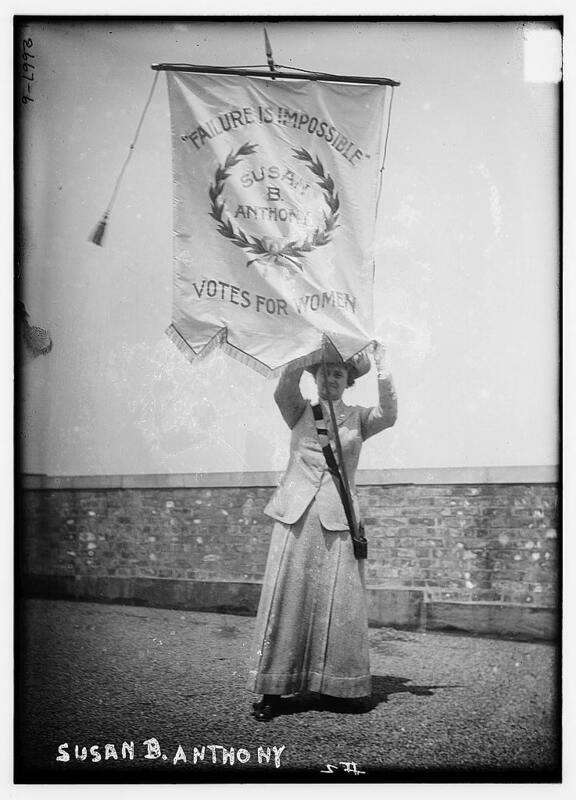 It disparaged 'the woman,' 'the subaltern,' and 'the non-European' even more than 'the animal.' As a result, it is hardly surprising that many of these groups rejected the idea of a universal and straightforward essence of 'the human,' substituting something much more contingent, outward-facing, and complex. To rephrase Simone de Beauvoir's inspired conclusion about women, one is not born, but made, a human. Bourke also admonishes against seeing the historical trend in paradigms about humanness as linear, as shifting "from the theological toward the rationalist and scientific" or "from humanist to post-humanist." 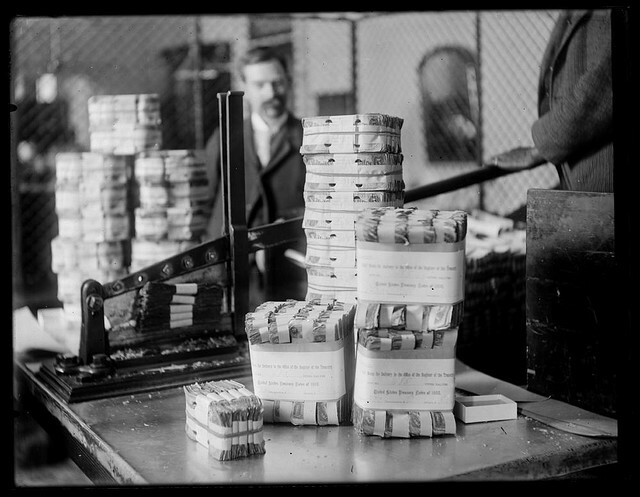 How, then, are we to examine the "porous boundary between the human and the animal"? In complex and sometimes contradictory ways, the ideas, values, and practices used to justify the sovereignty of a particular understanding of 'the human' over the rest of sentient life are what create society and social life. Perhaps the very concept of 'culture' is an attempt to differentiate ourselves from our 'creatureliness,' our fleshly vulnerability. Bourke goes on to explore history's varied definitions of what it means to be human, which have used a wide range of imperfect, incomplete criteria -- intellectual ability, self-consciousness, private property, tool-making, language, the possession of a soul, and many more. ...the power of speech is intended to set forth the expedient and inexpedient, and therefore likewise the just and the unjust. And it is a characteristic of man that he alone has any sense of good and evil, or just and unjust, and the like, and the association of living beings who have this sense makes a family and a state. Nature which acts in them according to the disposition of their organs, as one sees that a clock, which is made up of only wheels and springs can count the hours and measure time more exactly than we can with all our art. The difference in mind between man and the higher animals, great as it is, is certainly one of degree and not of kind. 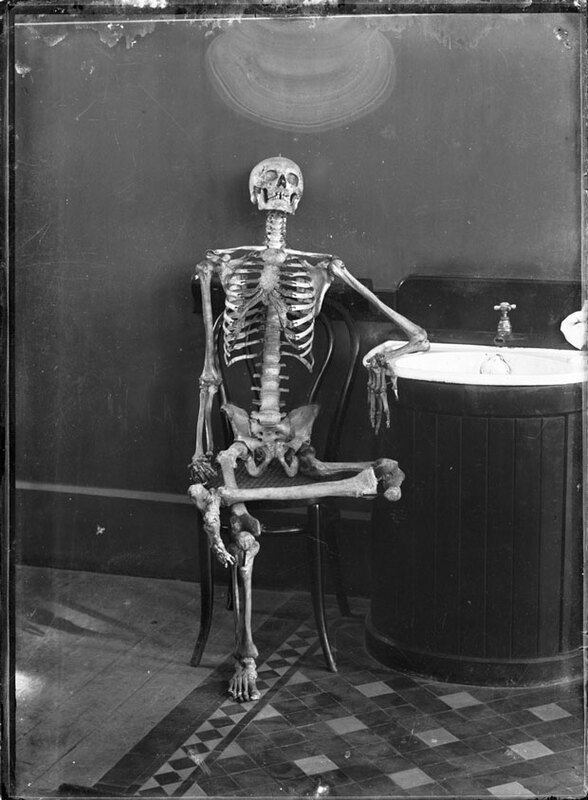 We have seen that the senses and intuitions, the various emotions and faculties, such as love, memory, attention, curiosity, imitation, reason, etc., of which man boasts, may be found in an incipient, or even sometimes in a well-developed condition, in the lower animals. 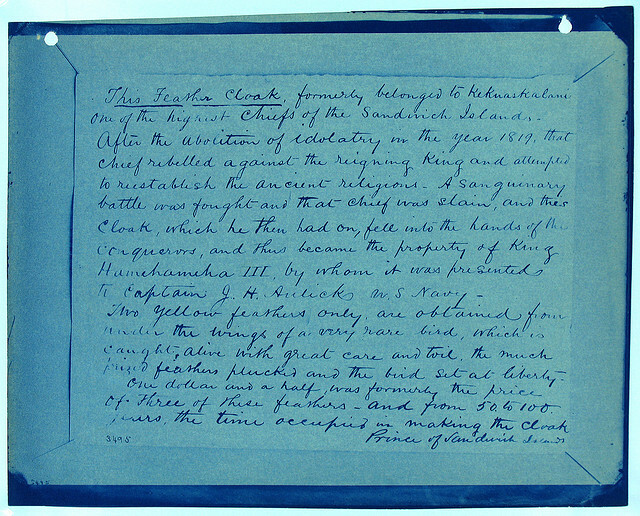 Darwin's concern was echoed quantitatively by Jared Diamond in 1990s when, in The Third Chimpanzee, he wondered how the 2.9 percent genetic difference between two kids of birds or the 2.2 percent difference between two gibbons made for a different species, but the 1.6 percent difference between humans and chimpanzees makes a different genus. Deny reason to animals, and you must equally deny it to infants; affirm the existence of an immortal soul in your baby or yourself, and you must at least have the grace to allow something of the kind to your dog. None of the traits by which the most authorized philosophy or culture has thought it possible to recognize this 'proper of man' -- none of them is, in all rigor, the exclusive reserve of what we humans call human. Either because some animals also possess such traits, or because man does not possess it as surely as is claimed. 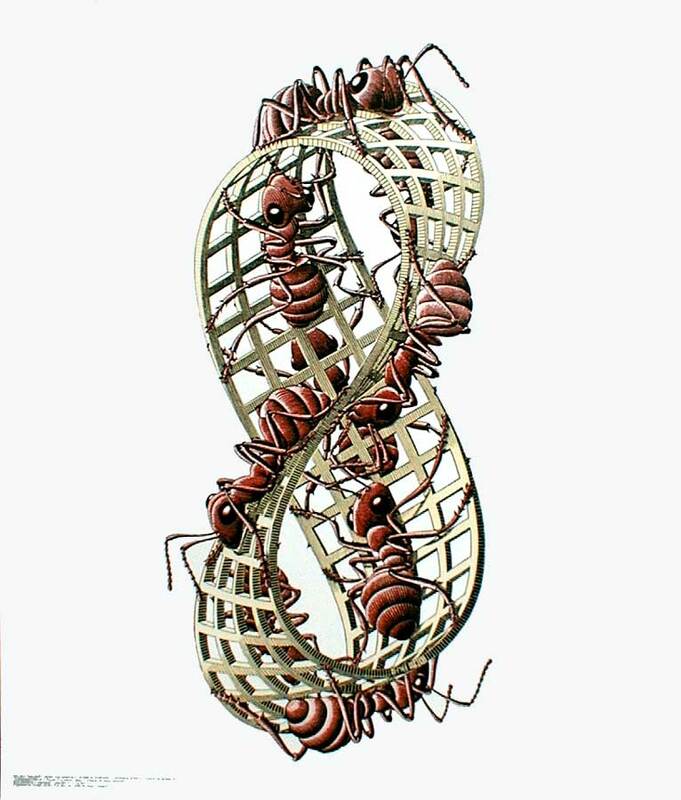 Curiously, Bourke uses the Möbius strip as the perfect metaphor for deconstructing the human vs. animal dilemma. Just as the one-sided surface of the strip has "no inside or outside; no beginning or end; no single point of entry or exit; no hierarchical ladder to clamber up or slide down," so "the boundaries of the human and the animal turn out to be as entwined and indistinguishable as the inner and outer sides of a Möbius strip." Bourke points to Derrida's definition as the most rewarding, calling him "the philosopher of the Möbius strip." Ultimately, What It Means to Be Human is less an answer than it is an invitation to a series of questions, questions about who and what we are as a species, as souls, and as nodes in a larger complex ecosystem of sentient beings. As Bourke poetically puts it: "Erasing the awe-inspiring variety of sentient life impoverishes all our lives." And whether this lens applies to animals or social stereotypes, one thing is certain: At a time when the need to celebrate both our shared humanity and our meaningful differences is all the more painfully evident, the question of what makes us human becomes not one of philosophy alone but also of politics, justice, identity, and every fiber of existence that lies between. Originally featured earlier this month. For a related read that missed the cut by a hair, see Christian Smith's excellent What Is A Person. How "you" are you, really? Character is something we tend to think of as a static, enduring quality, and yet we glorify stories of personal transformation. In reality, our essence oscillates between a set of hard-wired patterns and a fluid spectrum of tendencies that shift over time and in reaction to circumstances. This is exactly what journalist Julian Baggini, co-founder of The Philosopher's Magazine, tries to reconcile in The Ego Trick: In Search of the Self -- an absorbing journey across philosophy, anthropology, sociology, neuroscience, religion, and psychology, painting "I" as a dynamic verb rather than a static noun, a concept in conflict with much of common sense. In his illuminating recent talk at The RSA, Baggini probes deeper into the theory of self-creation and the essence of our identity. For a great companion read, you won't go wrong with Antonio Damasio's excellent Self Comes to Mind: Constructing the Conscious Brain. Back in the day, I had the pleasure of studying under Dr. Martin Seligman, father of the thriving positive psychology movement -- a potent antidote to the traditional "disease model" of psychology, which focuses on how to relieve suffering rather than how to amplify well-being. His seminal book, Authentic Happiness, was among the seven essential books on the art and science of happiness, and this year marked the release of his highly anticipated follow-up. 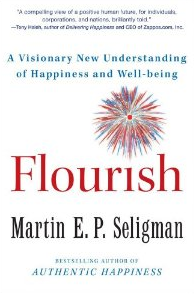 Flourish: A Visionary New Understanding of Happiness and Well-being is rather radical departure from Seligman's prior conception of happiness, which he now frames as overly simplistic and inferior to the higher ideal of lasting well-being. Flourish is definitely not a self-help book, though it does offer insightful techniques to optimize yourself, your relationships, and your business for well-being. If anything, it can read a bit wonky at times, as Seligman delves into fascinating empirical evidence culled from years of rigorous research. But I find this remarkably refreshing and stimulating amidst the sea of dumbed down psycho-fluff. Seligman identifies five endeavors crucial to human flourishing -- positive emotion, engagement, good relationships, meaning and purpose in life, and accomplishment -- and examines each in detail, ultimately proposing that public policy have flourishing as its central goal. Seligman's work over the years has taken him inside the brains of British lords, Australian school kids, billionaire philanthropists, Army generals, artists, educators, scientists, and countless more of humanity's most interesting and inspired specimens. The insights gleaned from these clinical cases are both sage and surprising, inviting you to look at the pillars of your own happiness with new eyes. V.S. Ramachandran -- one of the most influential neuroscientists of our time, whose work has not only made seminal contributions to the understanding of autism, phantom limbs, and synesthesia, among other fascinating phenomena, but has also helped introduce neuroscience to popular culture. The fact that he is better-known as Rama -- you know, like Prince or Madonna or Che -- is a fitting reflection of his cultural cachet. 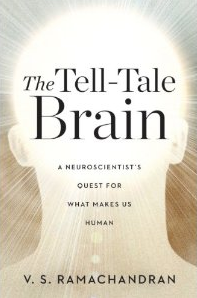 This year, in furthering the inquiry into what it means to be human, Rama released his highly anticipated new book: The Tell-Tale Brain: A Neuroscientist's Quest for What Makes Us Human -- an ambitious exploration of everything from the origins of language to our relationship with art to the very mental foundation of civilization. 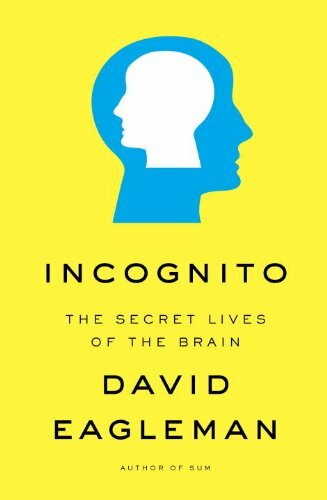 Both empirically rooted in specific patient cases and philosophically speculative in an intelligent, grounded way, with a healthy dose of humor thrown in for good measure, it's an absolute masterpiece of cognitive science and a living manifesto for the study of the brain. We're deeply fascinated by how the human mind makes sense of the world, and religion is one of the primary sense-making mechanisms humanity has created to explain reality. On the heels of our recent explorations of the relationship between science and religion, the neuroscience of being human, and the nature of reality comes The Belief Instinct: The Psychology of Souls, Destiny, and the Meaning of Life -- an ambitious new investigation by evolutionary psychologist Jesse Bering, exploring one of the most important questions of human existence. Eloquently argued and engagingly written, it provides a compelling missing link between theory of mind and the need for God. If humans are really natural rather than supernatural beings, what accounts for our beliefs about souls, immortality, a moral 'eye in the sky' that judges us, and so forth? A leading scholar of religious cognition, Bering -- who heads Oxford's Explaining Religion Project -- proposes a powerful new hypothesis for the nature, origin, and cognitive function of spirituality. Far from merely regurgitating existing thinking on the subject, he connects dots across different disciplines, ideologies, and materials, from neuroscience to Buddhist scriptures to The Wizard of Oz. Blending empirical evidence from seminal research with literary allusions and cultural critique, Bering examines the central tenets of spirituality, from life's purpose to the notion of afterlife, in a sociotheological context underlined by the rigor of a serious scientist. Originally featured in February, and one of our seven fundamental meditations on faith. The dichotomy of good and evil is as old as the story of the world, and timeless in its relevance to just about everything we do in life, from our political and spiritual views to our taste in music, art, and literature to how we think about our simple dietary choices. 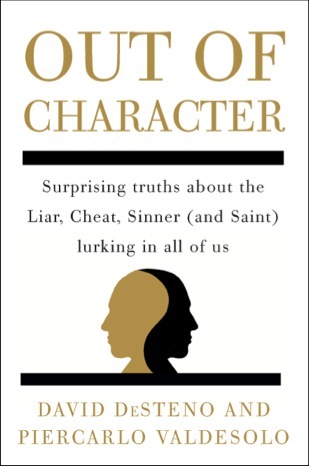 But while most of us recognize that these concepts of good and bad aren't always black-and-white categories, we never cease to be surprised when someone or something we've perceived as "good" does or becomes something we perceive as "bad," from an esteemed politician's transgression to a beloved celebrity's slip into addiction or otherwise socially undesirable behavior. In this excellent talk from Northeastern's Insights series, DeSteno reveals some of the fascinating research behind the book and the illuminating insights that came from it.